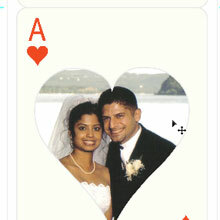 Create your own free personalized playing card with a heart shaped photo on the front and a note on the back. Write "It was in the cards for us to be together" or your own phrase. 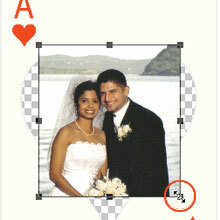 You may personalize the letter of the card to a Q or K and say "You will always be my Queen / King" or a related message. With a 2 of hearts write "Our hearts were meant for each other" etc. 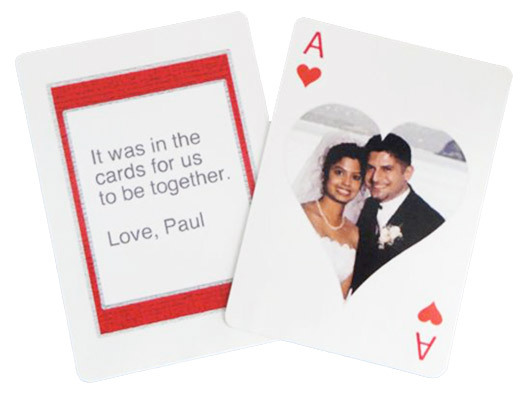 Take a full deck of cards and replace one with this personalized playing card and have your loved one search for your hidden message. Complete your romantic paper craft with a personalized card box. All personalization is done within your browser using the pixlr online photo editor. A new tab will open to edit the template so you can switch back to these instructions. Choose your card style by clicking one of the images below and follow the instructions. If you would like to use the template in a photo editor other than pixlr as shown, click on the template here which will open in a new browser tab. Card Template A, K, Q, or 2. Once opened in a new browser tab, right click to Save image and save to your desktop. Open in the editor of your choice that can add layers. Click on one of the card styles above. 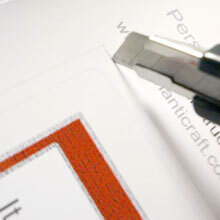 The template will take a few seconds to open in the pixlr online editor as it is a high resolution image for printing. 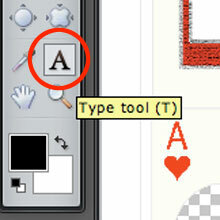 Click on the Type tool as shown. 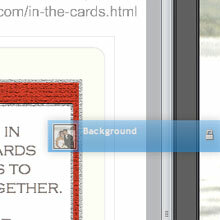 Move the cursor into the blank area at the top of the card and click to open the text box field as shown in step 3. Type your own message into the text box. Press enter after 3 or 4 words. Choose a font and size from the drop down arrows or change the color of text. Click OK when done. Helvetica font is shown with a size of 65. 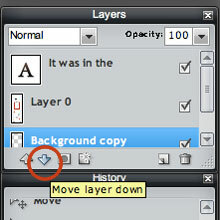 Click on the Move tool as shown. 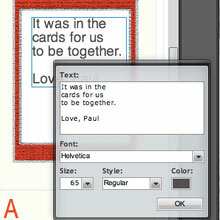 Click and hold on the text area to center the text within the card. Choose File, Open to open your custom image. (From the options along the top of the pixlr page, not from the browser) The image window will overlap the playing card template so click and hold the top of the image window to move it over to the right. 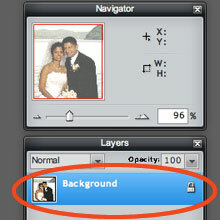 Locate the background layer in the layers panel to the right of your image as shown. 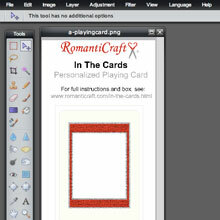 Click and hold to drag the background layer of the image from step 5 and release when it is over the card as shown. The image will appear in the upper left corner of the card (and as a new layer called background copy in the card template). Select Edit, Free Transform to move the image down near the heart. 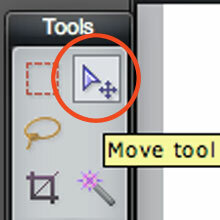 Place the cursor on the corner where it will turn into the arrow as shown. Press and hold the shift key as you click and drag the corner to make the image smaller or larger. The shift key keeps the image from being distorted when resizing. Once the image is positioned in the general area of the heart, click anywhere outside of the card window and press Yes to confirm changes. Your image now be will appear inside the heart. If you need to adjust the image within the heart to center or change size, repeat step 7. Select File, Save and save as a .png to your desktop. Load printer with photo paper. 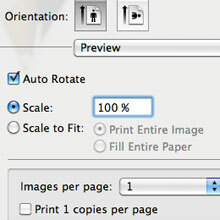 Print the saved image from your desktop at 100% scale, (shown here within mac preview ) NOT adjusted in any way to fit or the card will not be actual size when cut out. Do not print directly from pixlr. 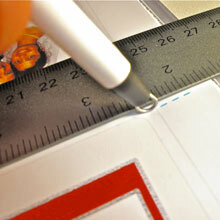 Use the paper clip to score along the fold line guides which are the blue dashed lines. 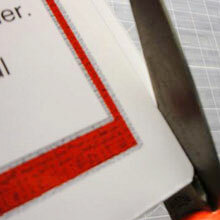 Cut on the outside rectangular grey line. 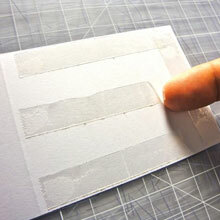 Once fully cut out, place double sided tape or glue along the edges and center of the back of the card as shown. Fold in half along the score line. Press down flat to secure together. 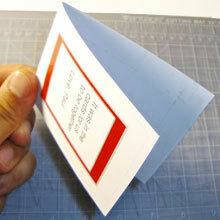 Cut along the curved inside grey line with either scissors or a craft knife to make the card. Round the corners with the scissors. Make your own box by following the In The Cards Box Instructions. 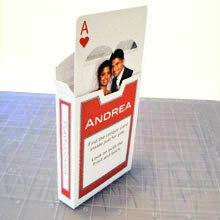 Slide the personalized playing card into the box and mix into a full deck of cards for more fun. 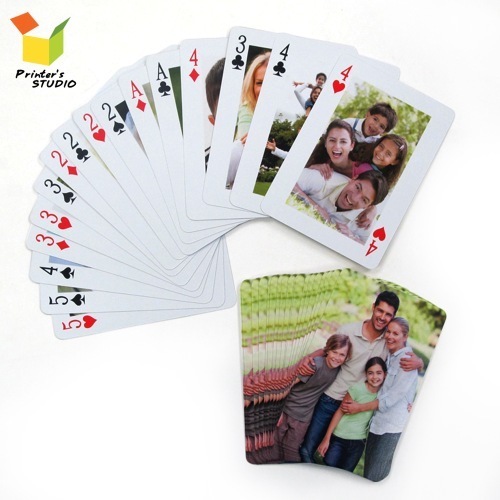 Place the personalized playing card on top of her/his pillow before going to bed. Tell your loved one you would like to play a game and present this. Mail just the card in an envelope.